Job hunting can be a tedious procedure, but it’s also quite awkward to do while on the job. Most users on LinkedIn are already using their profiles as virtual resumes, but using LinkedIn to engage with potential new employers can be a disaster when LinkedIn publishes your activities to all of your contacts, and potentially your current boss. The new LinkedIn app resolves these issues. The best part about the new Job Search App from LinkedIn is what it doesn’t do – it keeps your job hunting activities private. There’s no need to worry about who may or may not see what you’ve been up to. If you have a personal iOS device, you can do a quick job search during lunch break or even on your way to get coffee. 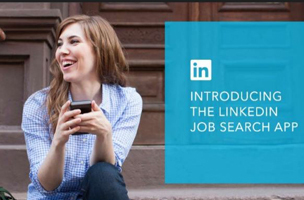 There are also job recommendations based on your profile, previous searches, and your personalized search criteria. Overall, the new app is very useful and convenient since you don’t have to create a new profile or online resume to look for new opportunities – all is kept segregated from your current job profile. Did you know that applicants who apply to job opportunities on the first day they’re posted are 10% more likely to land the job? That means that if you are an active job seeker, your job search can’t stop just because you’ve stepped away from your desk.